With our insulation, less heat will transfer into and out of your home. As a result, your home’s HVAC system will more easily regulate indoor temperature, even during the hottest summer swells or coldest temperature drops during the winter. What this essentially means is that you can be sitting cozy throughout the entire year, while potentially seeing a reduction in your utility bills. 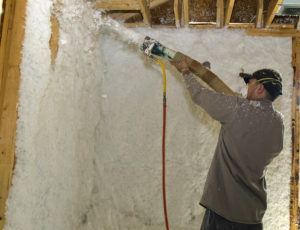 To see for yourself why our blown in insulation is popular with homeowners across Jacksonville, FL, and neighboring communities, contact Green Machine today.